The University of St. Michael’s College is home to 5000 undergraduate students, and over 500 of those students lives on campus in a St. Michael’s College or Loretto College residence building. We are committed to creating a safe and secure community in the heart of downtown Toronto, Canada’s largest city. St. Mike’s is also committed to providing opportunities for its commuter students to be engaged and active in the community. On this page and others that you will find in the menu to the left, you can learn more about commuter student activities, our residences, dining options, and safety and security on the St. Mike’s campus. Commuter Dons connect students living off campus to the St. Mike’s community through social and cultural programming, provide commuters with campus resources, and offering opportunities for engagement outside the classroom. Learn more about this year’s Commuter Don team here. The USMC Mentorship program supports first year students through their transition into the University by connecting them with an upper year mentor to get more familiar with campus, school and community life. Follow us on Facebook, or contact the program coordinators at usmcmentors@gmail.com. For more information on related opportunities at the University of Toronto, visit Mentorship & Peer Programs. The University of St. Michael’s College is committed to provide safety for its students, staff, faculty and visitors. If you have any immediate security concerns, please call x2099; if there is an emergency, call 911. Our campus is under a 24/7 security patrol. More information about safety and emergency preparedness can be found here. NOTE: The USMC Statement of Adoption and Preamble must be read together with and in the context of the University of Toronto Policy. The University of St. Michael’s College is firmly committed to ensuring the safety of each and every one of its students, faculty and staff. We respect the dignity and unique worth of every individual and are committed to reinforcing these values in the life of our community. The Legislative Assembly of Ontario passed Bill 132, the Sexual Violence and Harassment Action Plan Act in March 2016. The Bill is part of the Ontario government’s strategy to provide protection to students and workers from the threat of sexual violence and harassment on campus or in the workplace. The legislation attempts to achieve this goal through amendments to six government acts. Most important of these amendments, for colleges and universities, are changes to the Ministry of Training, Colleges and Universities Act, which came into effect on January 1, 2017. USMC has adopted the University of Toronto’s Policy on Sexual Violence and Sexual Harassment pursuant to our rights and status under the Federated Framework Agreement (FFA). The policy will apply to all our students, Faculty and Staff. Since first adopting the Policy, we have, like other federated universities, updated it to bring greater clarity, for all members of our community, about how the policy applies to each of us. As a Catholic University, we invite our students to engage in an extended conversation about what it is to be a human being fully alive. It is therefore important to note that, in adopting this policy, we also continue to affirm Catholic teaching in relation to human sexuality. Most notable in this is the understanding that sexual intimacy is a gift that is meant to be expressed in a relationship marked by love, constancy and fidelity, within the bounds of marriage, and open to the promise of new life. 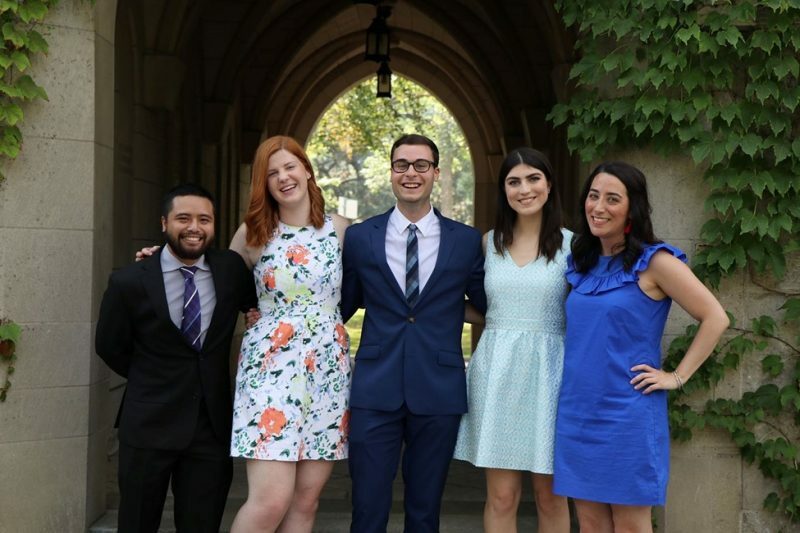 As a federated College within the University of Toronto system, USMC is committed to a consistent system for addressing incidents of sexual violence and sexual harassment. For these reasons, USMC adopts the University of Toronto Policy with those amendments contained herein required by the independent status of USMC. University of Toronto Policy, as well as any applicable USMC policies. USMC is committed to making available programs and resources to educate its community on the prevention of and response to Sexual Violence. USMC is committed to responding to and addressing incidents and complaints of Sexual Violence involving its students, staff and faculty, and to ensuring that those members of the community who are affected by Sexual Violence receive support. All USMC students, faculty, librarians, fellows, associates, post-doctoral fellows and all employees of USMC. For clarity, this definition includes anyone employed by USMC to teach in the College’s Faculty of Arts & Sciences, Faculty of Theology and the Continuing Education Programs but does not include faculty or employees covered by the University of Toronto Policy. For the purposes of USMC’s training obligation, this also includes members of the College’s governance structure, including its Collegium, Senate and contractors engaged by the University. Section 13 of the University of Toronto Policy establishes the University of Toronto Sexual Violence Prevention and Support Centre (“the Centre”). The mandate of the Centre includes conducting intake, accepting Disclosure and Reporting of Sexual Violence, and providing support to individual Members of the University Community who have experienced Sexual Violenc Section 42 of the University of Toronto Policy makes the Centre responsible for receiving Reports of Incidents of Sexual Violence involving a Member of the University Community in a non-emergency situation. The Centre will also provide education and training to Members of the University Community with respect to how to respond to Disclosures of Sexual Violence and how to support Complainants. By agreement, the Centre will also provide these services to Members of the USMC Community. In the event that a Report is made under the University of Toronto Policy either by or against a person who is a Member of the USMC Community, the University of Toronto Office of Safety and High Risk will notify the USMC President and Vice-Chancellor or designate of such a report and will consult with that office as such a Report is being processed under the University of Toronto Policy. If an investigation proceeds against a Member of the USMC Community, the USMC President and Vice-Chancellor or designate will review the investigation report pursuant to paragraphs 73, 74 or 75 of the University of Toronto Policy as the case may be and make the decisions referred to in those paragraph In doing so, the USMC President and Vice-Chancellor or designate will consult with the University of Toronto administrators named in those paragraphs in making USMC’s decisions as to whether or not Sexual Violence occurred and as to the appropriate outcome or sanction under those paragraphs. In the case of a student Respondent who is a Member of the USMC Community, the investigation report will be reviewed by the USMC President and Vice-Chancellor or designate, in consultation with the University of Toronto Vice-President, Students or designate to determine whether or not the matter will be referred for a hearing under the University of Toronto Code of Student Conduct in order to determine whether or not Sexual Violence occurred and, if so, the appropriate penalty or remed Appeals against the decision of the Hearing Officer may be made to the Discipline Appeals Board of the Governing Council as provided for in the University of Toronto Code of Student Conduct. In the case of a staff member Respondent, the investigation report will be reviewed by the USMC President and Vice-Chancellor or designate, in consultation where appropriate with the University of Toronto Vice-President, Human Resources & Equity or designate, who will determine whether workplace violence and/or Sexual Violence occurred and, if so, the appropriate sanctions or discipline and corrective action, having regard to appropriate factors such as the nature of the offence and any mitigating or aggravating circumstance The Respondent will be notified in writing of the decision and any discipline or sanction imposed and will have access to the grievance process under the relevant collective agreement or human resources policy in order to appeal. In the case of a USMC faculty member or librarian Respondent who does not have a University of Toronto appointment, the USMC President and Vice-Chancellor or designate, in consultation where appropriate with the University of Toronto Vice-President and President or designate and the Vice- President, Human Resources & Equity, will review the investigation report and determine whether workplace and/or Sexual Violence occurred and impose the appropriate discipline, sanction or corrective action, having regard to appropriate factors such as the nature of the offence and any mitigating or aggravating circumstance The Respondent will be notified in writing of the decision and any discipline or sanction imposed and will have access to the applicable grievance process in order to appeal. In the case of a Member of the USMC Community who holds more than one role – for example, a student who is also an employee – or in the case of multiple Respondents who hold different roles, or in the case of a Respondent who is a Member of the USMC Community who is not covered in paragraphs 73, 74 or 75, the USMC President and Vice-Chancellor or designate in consultation with the University of Toronto where applicable will decide which process(es) will apply in the circumstances of the particular case. For the purposes of clarity, in the event that both parties are exclusively Members of the USMC Community, all decision-making rests solely with the USMC President and Vice Chancellor or designate. For the purposes of this section, USMC interprets paragraph 77 of Section E under Part VIII: Reporting of the University of Toronto Policy to also include any applicable USMC policies. This statement of adoption shall take effect January 1, 2017. Information and communication technology (ICT) provided by the University for the use of employees, students and other members of the University community is the property of the University, and is intended to be used in a manner that is consistent with the University’s mission. The University of St. Michael’s College may provide students with access to these resources, and their use is governed by the University of Toronto’s Appropriate Use of Information and Communication Technology policy. Users of University ICT are expected to limit their use to the performance of University-related activities, although a reasonable allowance will be made for personal use. Whether or not an amount of personal use would be considered reasonable would depend on the particular circumstances and the applicable laws and policies. Users of University ICT are required to abide by all applicable laws and policies in addition to these guidelines. Reasonable personal use does not include in any circumstances the visiting of pornographic websites, the storage or distribution of pornographic material, or the accessing, storage or distribution of unlawful or otherwise inappropriate (within the meaning of the guidelines) information. For more information on the appropriate use of ICT resources, please consult the University of Toronto policy here.